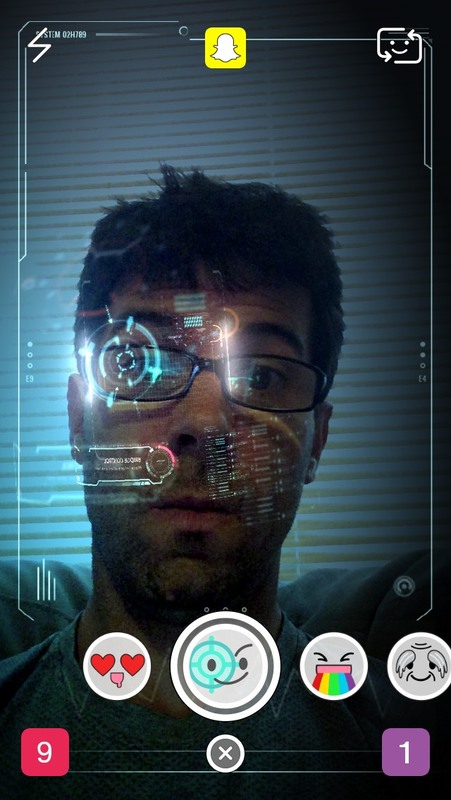 Home › Snapchat Selfie Filters › How Do I Get the Snapchat Robot Face Selfie Filter? How Do I Get the Snapchat Robot Face Selfie Filter? To gain access to this filter you will need to make certain you are in good lighting. If it is too dark your Snapchat app will not pick up on your face. Put Snapchat is selfie mode and hold down on your face. After a few seconds you will be given the option of several different filters. This option is the second options with the heart eyes being the first. When the filter starts you can click to take a picture at any time. When you do this you can then send the snap to a friend or add it to your story. This is a very animated app as you will see when you try it out. What do you think about this filter? Do you like it? How Do I Get the Snapchat Heart Eyes Selfie Filter? | How Do I Get the Snapchat Rainbow Tongue Selfie Filter? Idk because i can’t use it. ?